Club Penguin is a large, entertaining visual world that has a snow-covered environment and aims to offer fun for children who become members. 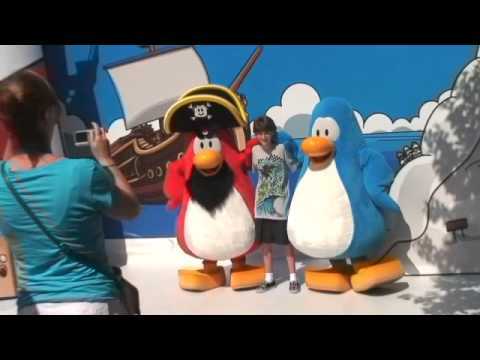 Children can explore the island of Club Penguin. The players disguise themselves as colorful penguin avatars, buy dresses for the penguins, and interact with other players. They can play games to earn money which will be spent for building the perfect igloo, and have fun by adopting a pet too. They act in stage plays, send greeting cards, make use of emotes, and also have the option of choosing from actions such as dancing or waving which are pre-defined. The children also learn to manage money and learn about their role in a community. The site targets children and offers free registration, much to their delight!